On the surface, a meeting in the Mission District on Monday night was meant for the community to weigh in on new “red carpet” bus-only lanes on Mission Street. The lanes rolled out in February and stretch from 14th to 30th streets. Hernandez decried transit officials for allowing the new red lanes to cause traffic mayhem, not reaching out enough to residents and for hurting small businesses in his life-long home. Half of the meeting’s 200 attendees cheered in support. The other half howled for Hernandez to stop. In the crowd, two men stood within a few inches of each other’s faces, pointing and shouting. This same scene has played out at recent Geary Boulevard and Taraval Street transportation meetings and may soon play out at West Portal, too. Merchants from those neighborhoods were present for the Mission meeting as well. A tide of merchant and neighborhood resentment is rising against the San Francisco Municipal Transportation Agency — and they’re now banding together for support. “I think it’s real clear a citywide coalition is in the formation and building to really address how we need to put a stop to the way [the SFMTA] is planning,” Hernandez told the San Francisco Examiner on Wednesday. Nearly 1,000 drivers who received a ticket for running a red light in San Mateo will be given a free pass after two of the city’s red light cameras and traffic signals were found to be in violation of new state laws. The police department will toss out 948 tickets issued between Aug. 1 and Oct. 15 after a San Mateo County Superior Court judge sided with a Burlingame man who received a ticket and sparked an NBC Bay Area investigation. Carrying a hefty $540 fine, the city will dismiss $511,920 worth of tickets after staff failed to increase the yellow light times per new regulations in the California Manual on Uniform Traffic Control Devices. The city maintains three cameras, two along Hillsdale Boulevard and one at the corner of Fourth Avenue and Humboldt Street, which police say were set to provide a yellow light time of 3.4 seconds — .2 seconds above the state’s previous minimum but lower than the new 3.7 requirement. An investigation sparked by Andre Clemente, who decided to fight against a ticket he received in January for rolling through the intersection at Hillsdale Boulevard and Saratoga Drive, ultimately resulted in the city admitting it failed to update its system. San Mateo police argue Clemente’s ticket was issued prior to the new law and their records indicate the cameras were in compliance at the time. However, the department does acknowledge two of the city’s three lights were not updated nor was a traffic study conducted that would have allowed them to calibrate the system based on the average speed of 85 percent of drivers at the intersections. Clemente, with the help of NBC’s Investigative team and Los Angeles resident Jay Beeber, who advocated for the new law, claim a video of the Burlingame man’s ticket shows the yellow lights were set to just 3.066 seconds, below the former 3.2-second minimum. Once aware of the problem, the city immediately shut down enforcement for two days to audit and correct the light timing, reversed the 948 citations and put measures in place to ensure the problem wouldn’t be repeated, Norris said. SAN FRANCISCO RESIDENTS, BUSINESSES UPSET OVER PROPOSED CHANGES TO MUNI ALONG LOMBARD ST.
San Francisco residents and business owners are angry about proposed changes to Muni bus lines. The changes affect Lombard Street from Franklin Street to Richardson Avenue. SFMTA says this will improve traffic and pedestrian safety. Residents say the plan is bad for local businesses. The intersection at Lombard and Divisadero Street is one that would see big changes. The street is a main thoroughfare to the Golden Gate Bridge and it is lined with hotels and businesses. Business owners say what’s good for SFMTA is not good for them. SFMTA says busy Lombard Street is one of the city’s high injury corridors. “The proposal is to make it safer for people walking,” said SFMTA chief spokesman Paul Rose. Part of the Lombard Street Safety Project proposal includes adding transit bulbs at four intersections so that buses could pick up passengers without having to pull in and out of traffic. Four pedestrian bulbs, like the one at Market and 14th streets, would also be added along Lombard. The project would eliminate 47 parking spots. Bus stops would also be moved at three locations including in front of BodyRok, Jake Irion’s business. He says that’s the least of his concerns. “My three major concerns are traffic flow, parking and then the lack of communication by the SFMTA,” Irion said. SFMTA spokesperson says the agency sent out emails, went door to door and posted fliers. Irion says a BodyRok client told him about the project. He’s now one of several people involved in a grassroots campaign opposed to it. “I look at this plan as being a solution for the SFMTA but not a global solution,” Irion said. “We know there are concerns with this project and that’s why we’re having so many meetings,” Rose added. We are going to start demanding proof of service to the community of the notices they claim they are putting out. We need to see some proof that the notices were sent out. When they were sent out and signatures of the parties who posted the notices. No more “we posted notices on poles around the area and that suffices for public notice. We want legal documentation to back up the claims. Drivers beware: If you double-park in a Muni-only lane, The City is coming for you. Among a bevy of newly signed bills Sunday, Governor Jerry Brown signed AB 1287, which makes permanent San Francisco’s pilot Transit-Only Lane Enforcement (TOLE) program. Authored by Assemblymember David Chiu, D-San Francisco, TOLE is designed to speed up the multitudes of red painted transit-only lanes criss-crossing The City. Under the program, Muni buses onboard video were enlisted to help enforce the law. Those cameras snap photos of license plates belonging to double-parkers who block transit-only lanes, which only buses and taxis may legally use. Those license plates are then checked in a database, and the drivers ticketed by mail. But this doesn’t just target private auto drivers. In a 2011, approximately 23% of the TOLE citations were issued to commercial vehicles, according to the SFMTA…. TOLE was introduced in 2007 as a pilot program by then-Assemblywoman Fiona Ma. Chiu’s bill makes the program permanent, but also expands the scope of enforcement, allowing SFMTA to ticket for “blocking the box” at intersections, and illegally parking in bus zones that may not necessarily be in transit only lanes. Kristen Foley, who’s lived in the neighborhood for six years, said she heard “quite a few” neighbors spoke out once again at the Sept. 24th meeting of ISCOTT, which approves or denies road closures. Someone put flyers on cars the previous weekend, she said, which got the word out and might’ve spurred attendance. Foley had previously told us that people who don’t live in the immediate neighborhood aren’t aware of the difficulties the closure will pose for drivers. From taxicab unions and package couriers to politicians and regulators, a growing crowd of people would like to destroy Uber. Add one more name to the list: Uber founder and CEO Travis Kalanick. Somewhere lost in the scrum over whether Uber drivers are employees or contractors, or whether the company conducts proper background checks, is the simple fact that Kalanick wants to eventually replace all Uber drivers with software and computers. Like Google and Tesla, Uber is trying to develop a car that can drive without a human operator. So why is Uber trying to put all human drivers — including those who work for taxis and Uber — out of business? It feels like Uber, Apple, Google and Alphabet want it all. If their employees and contractors don’t design it they will buy it to keep the competition down. Silicon valley is leading the way in putting humans out of work while building the new Gotham of the West. No doubt everyone working for them is on their way to disrupting themselves out of a job. 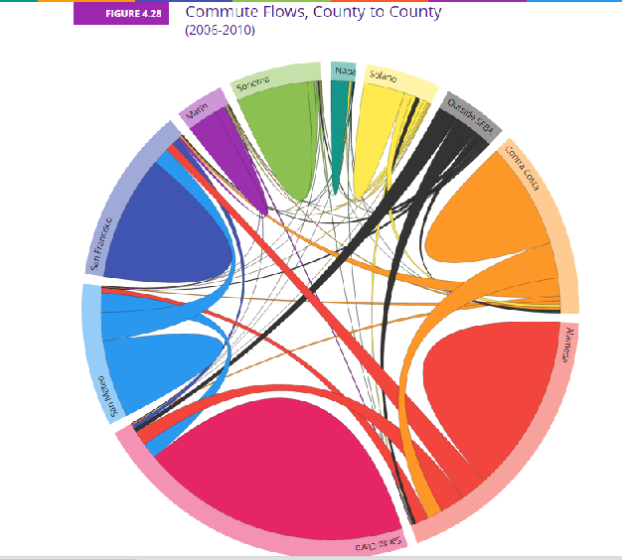 This fancy ABAG graphic shows the commute flows into and out of the nine Bay Area counties. The power struggle between the Metropolitan Transportation Commission and the Association of Bay Area Governments got a lot more complicated over the past week. Since MTC voted in late June to fund ABAG’s planning staff for only the first half of fiscal year 2015-16—an action followed by revelations that the regional transportation planning agency wants to take over ABAG’s land-use planning functions before their joint December move into fancy new digs in San Francisco—the two entities seemed destined to consolidate by the end of the year. 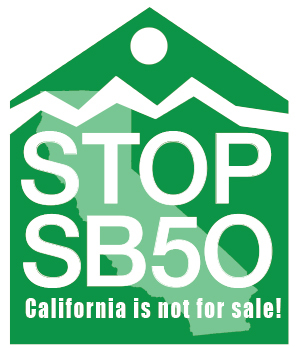 Only the Sierra Club had registered its opposition to a merger. But with ABAG’s Executive Board meeting on September 17 and MTC convening on September 23, several other influential parties, including SPUR, the League of Women Voters of the Bay Area, SF Planning Director John Rahaim, and ABAG Executive Director Ezra Rapport, have come out against hasty action, if not against consolidation, while the SF Labor Council has warned MTC not to take over ABAG’s planners, period. Meanwhile, the state Legislature could be dramatically changing the entire regional planning picture. A bill by Assemblymembers Phil Ting and Marc Levine, ABX1-24, would turn MTC into an elected board, forcing the organization to accept a level of democracy that has never remotely existed in the past. The bill would re-name MTC the Bay Area Transportation Commission and replace the body’s current 21 appointed members with commissioners elected by districts of about 750,000 residents. Each district would elect one commissioner, except a district with a toll bridge, which would elect two. A citizens’ redistricting commission would draw the district boundaries, and the campaigns for commissioners would be publicly financed. Elections would be held in 2016, with new commissioners taking office on January 1, 2017. Money makes transit go ’round. And in San Francisco, a new number has been identified to do just that: $21 billion. That’s the amount it will take to keep Muni, bike lanes and roadside features in San Francisco in a state of good repair for 20 years and to expand service, according to the San Francisco Municipal Transportation Agency’s newly released Capital Improvement Plan. The identified needs arise in a dry spell of transportation funding. California’s state legislature is considering new transportation funding measures in a special session, according to The Associated Press, and Congress has a deadline of Oct. 29 to come to an agreement on a deadlocked transportation funding bill. At the SFMTA Board of Directors meeting Tuesday, SFMTA head Ed Reiskin laid out the importance of the plan. They could start by cutting out all the funds they are spending on non-Muni operating costs. If the new “moderate democrats” have anything to say about that, they will have no choice.